This guy is unique . If you like it or not is personal taste but the art style is definitely interesting. 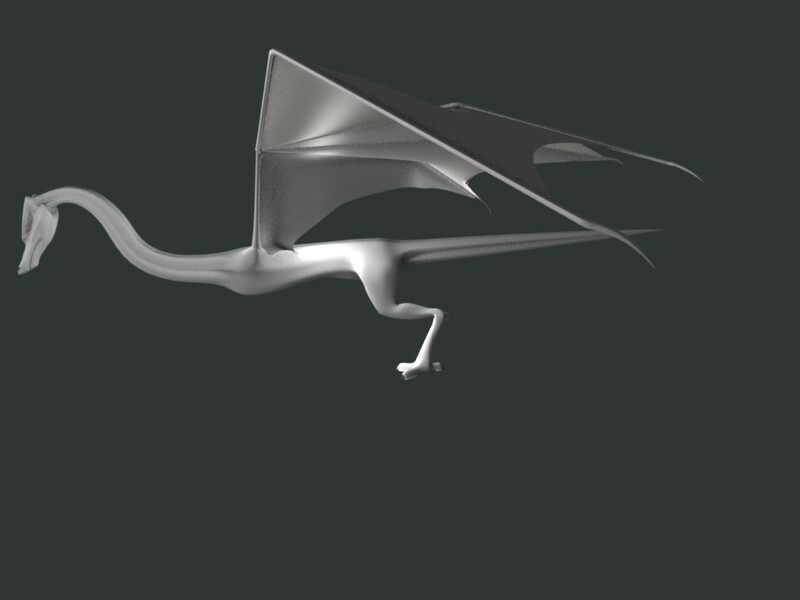 Oooh, a Dragon, must post, great start, sort of like a mix of the classical western type with its own unique twist. I like the larger scales. 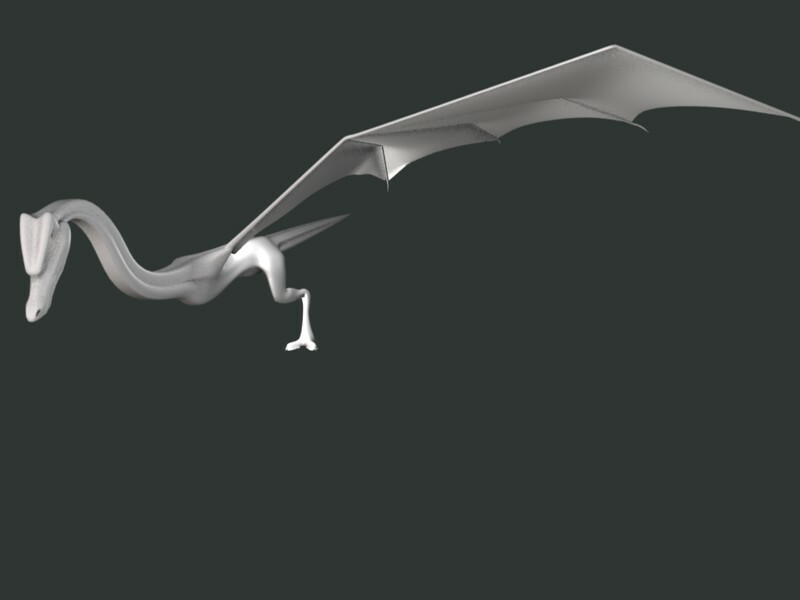 @Odjin: thanks mang =) I started with a base mesh and started making the scales around it… i figured that way id have the basic shape before i got all these scales made and found out i didnt like the way it was formed and had to make alot of adjustments. 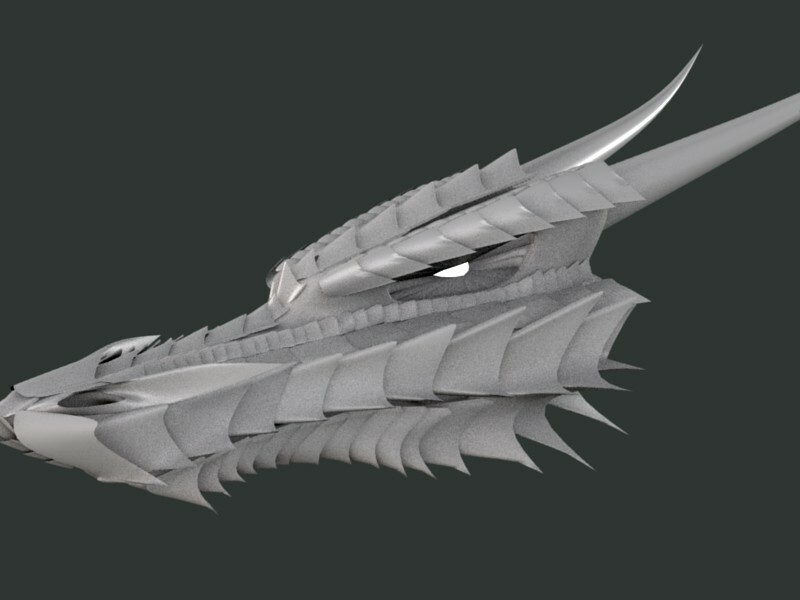 ive been adding scales… i donno if its too much around the jaw… what do you think? The first one had been better. It has something “cartoon” style on it which puts it apart from the rest. The second one is rather… generic somehow. He looks heavily armored from his scales. 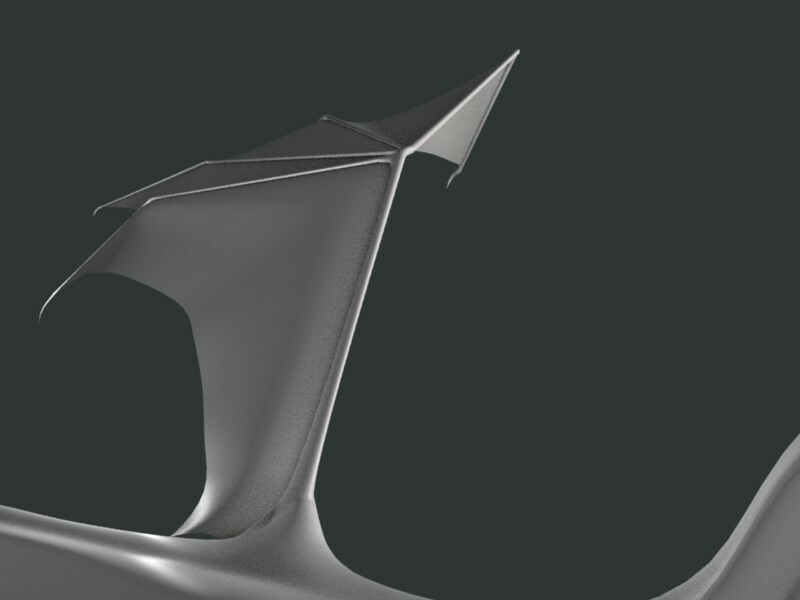 I don’t mind if it looks generic, looks like a majestic Dragon head to me. How’d you figure I would post? You’ve only been around since August. I also liked the first version better. It had more… personality! generic? 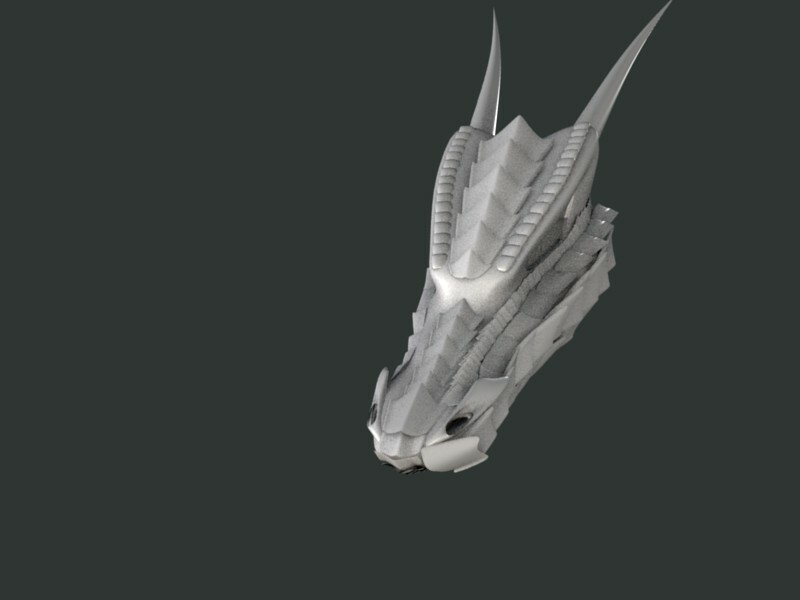 this is the most unique 3d dragon i have ever seen… almost like a futuristic mech dragon… chrome the hell out of it and i bet all teh curves would make it look unbelievable. chrome the hell out of it and i bet all teh curves would make it look unbelievable. I liked the second update a little better, right now it seems he’s going into scale overload. 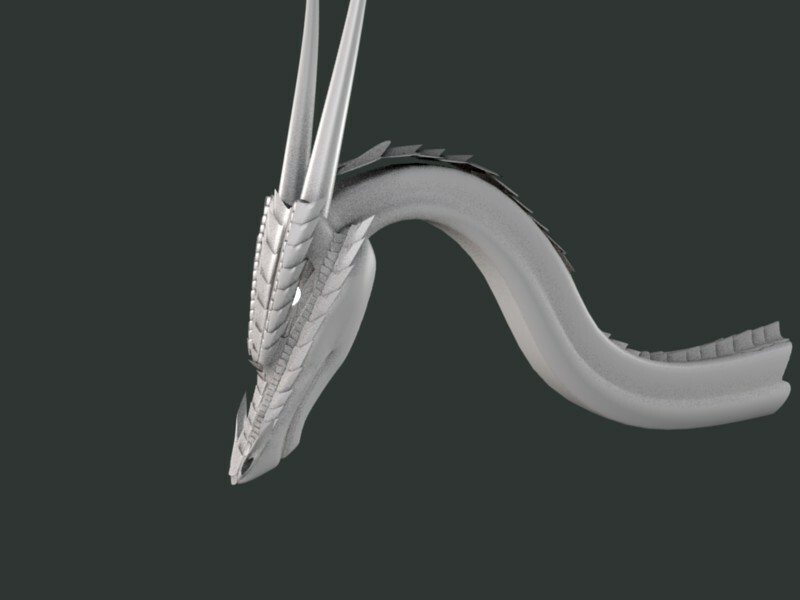 ok, i got rid of alot of the scales, and started on the neck (i tend to just keep adding on unless i make myself move on) i started with a completely straight neck and parented it to an armature, then added the scales and parented them as well, but when i pose the neck, the scales dont deform right… i t would work great if i could parent them to vertices and have them keep their local rotation… but i guess thats impossible eh? 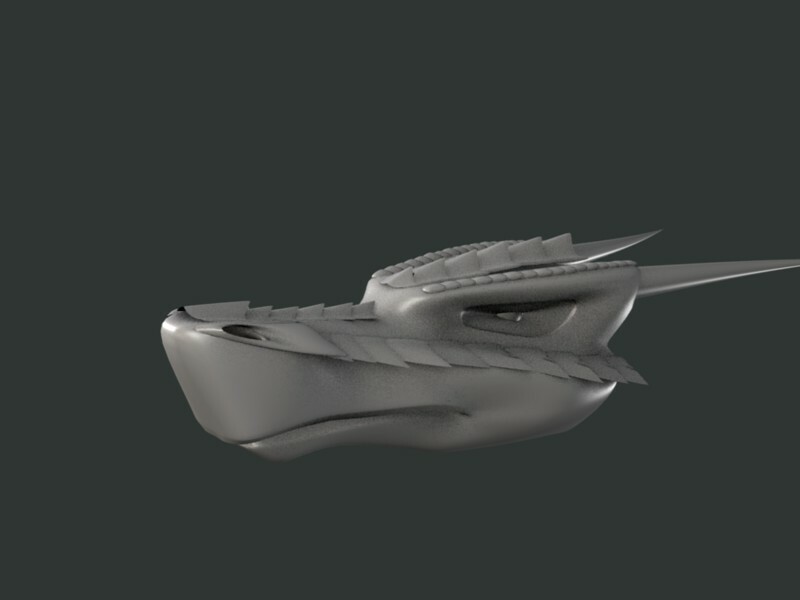 You could’ve kept the scales around the sides of the mouth, but changed them so they comformed a bit more to the skin and don’t stick out so much. The main problem I had with the scales around the front and sides of the mouth was that it was such they could easily interfere with him when he’s eating. And the scales at the front and sides just seemed like a little bit of facial feature overload. 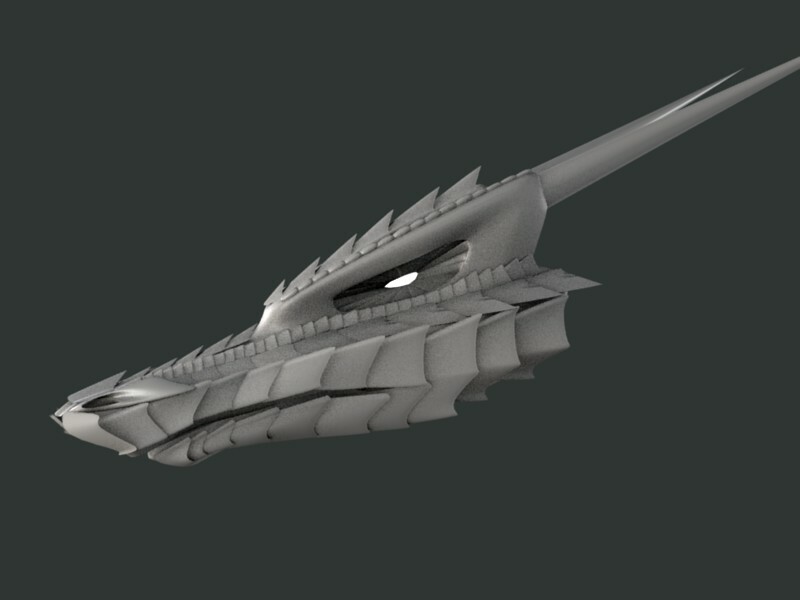 You can add the scales around the mouth back in, just make them not stick out very much. 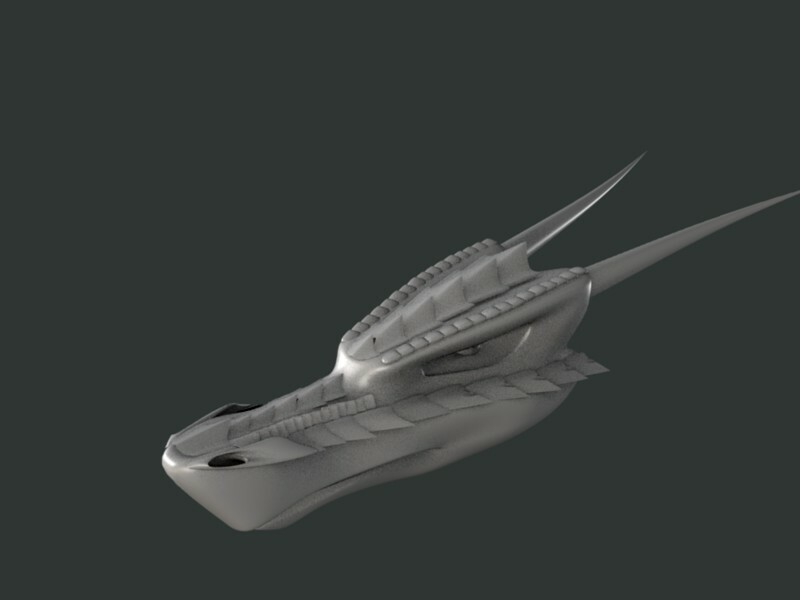 About the neck you have to round it out a bit more, the necks of pretty much all creatures are fairly round. 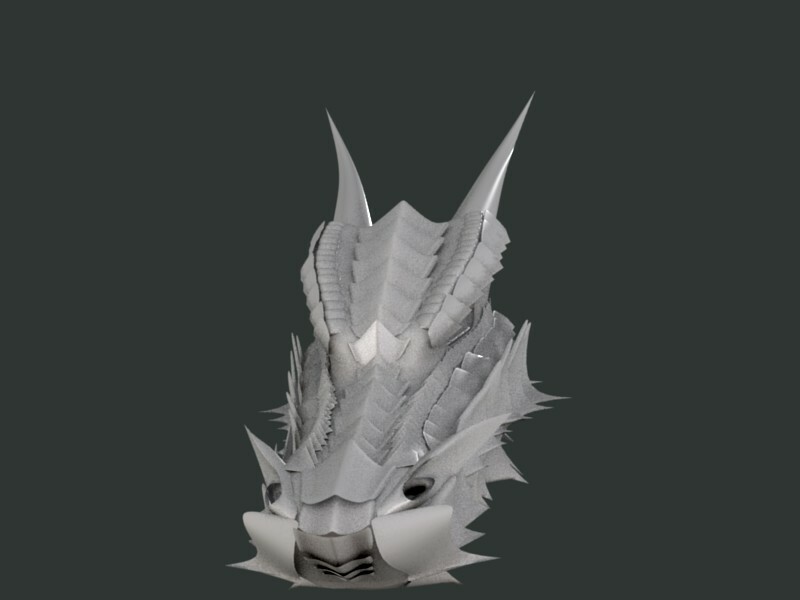 NEVER seen anyone even ATTEMPT a gem dragon in 3d lol. 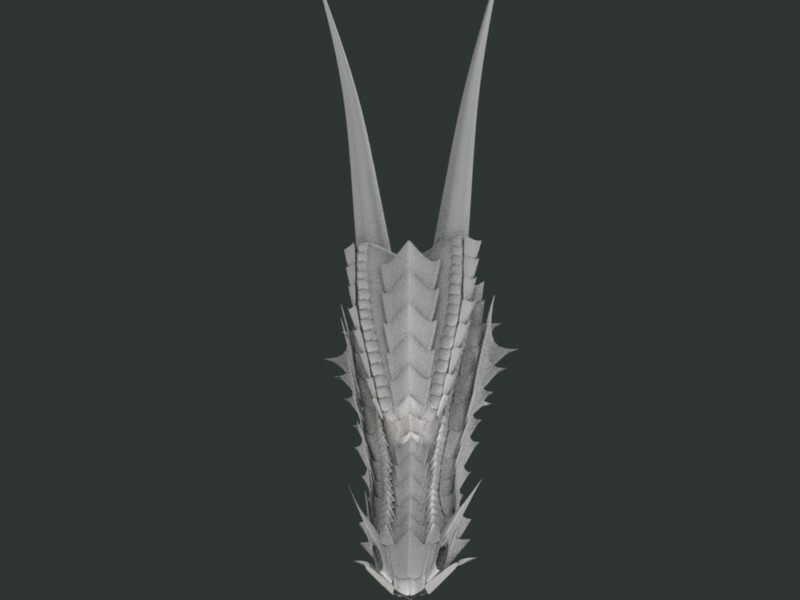 and it dont have to be new mirrored chrome… but some sort of obvious armored metal… blood stained steel perhaps? 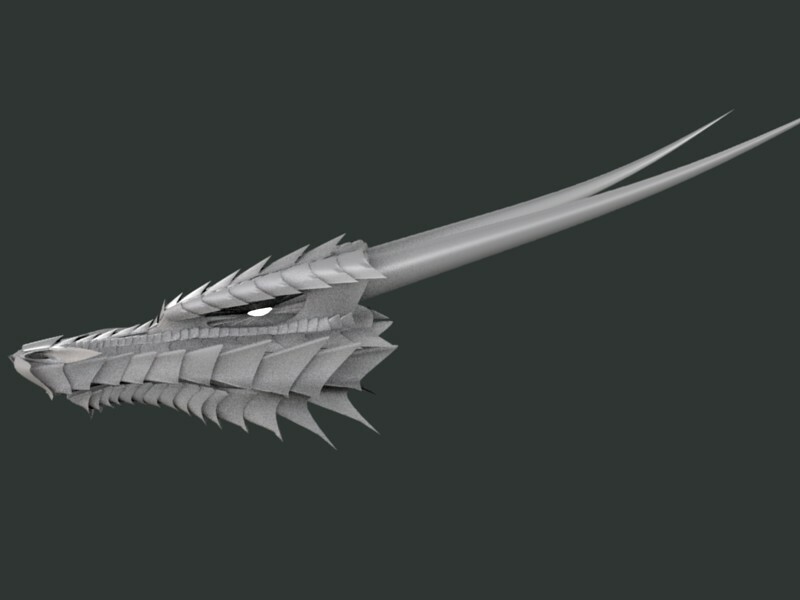 Or almost like a long slender snakish dragon, not muscular, but wirey… you know? 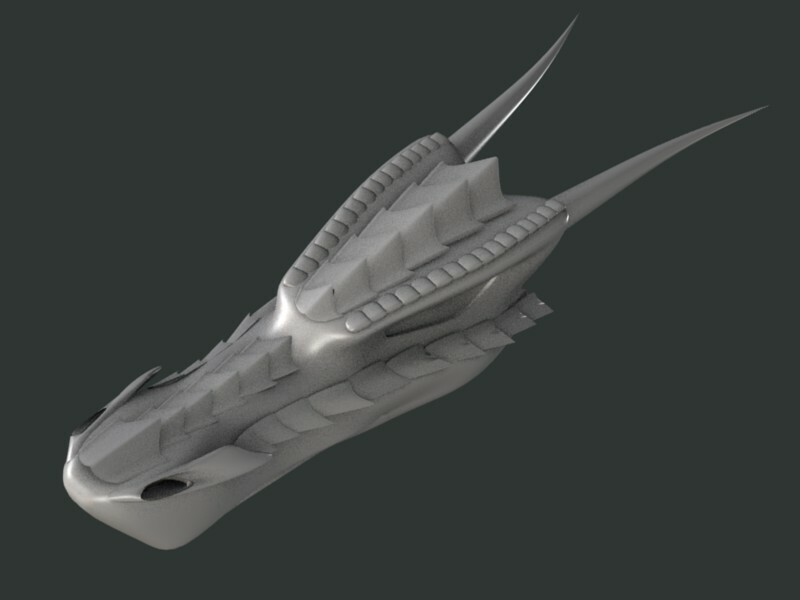 I must say I like the version with mean looking scales best. Cartoon dragons - bah! 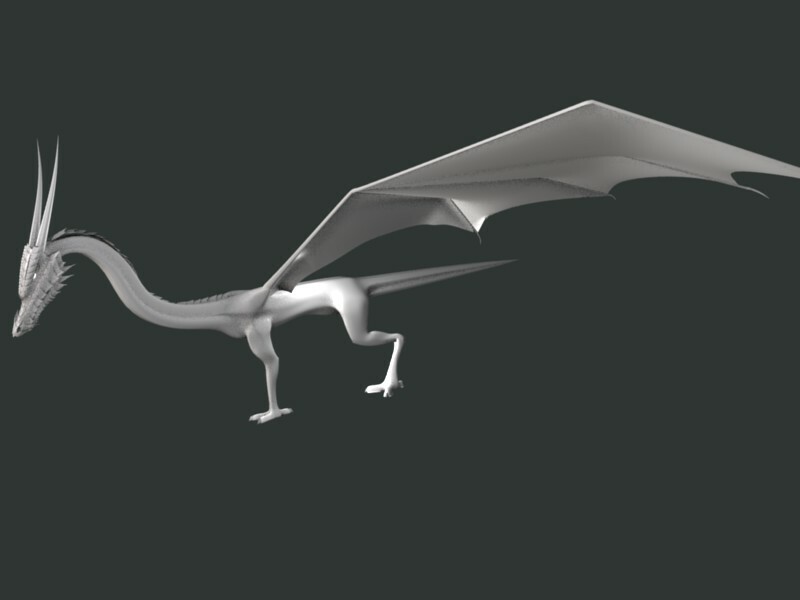 Good update, the only thing that catches me is that the tail looks a little short, try to make it the same length as the rest of the body before it from the its head to the base of the tail.